Classic Train Band Concert Posters and Memorabilia! Buy Online Now! Train were inescapable during the turn of the 21st century, when songs like “Calling All Angels” and “Drops of Jupiter” made the San Francisco residents some of America’s most popular balladeers. Although formed during the glory days of post-grunge, the group found more success in the pop/rock world, where Train straddled the line between adult contemporary and family-friendly alternative rock. The hits began drying up after 2003, but Train continued releasing material throughout the rest of the decade and even returned to the charts in 2010, when the single “Hey, Soul Sister” became a surprise Top Ten hit. 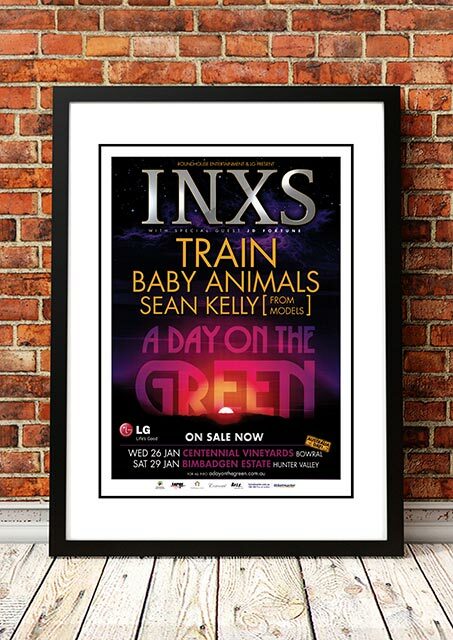 We stock some awesome Train Band Concert Posters.